A few stall out, but a couple students think to look at the other two triangles. -- but this method is not scalable. Go ahead; try it for a pentagon. I dare you! Furthermore, the center of gravity must be positioned on that line proportionally to the relative areas of the two triangles. 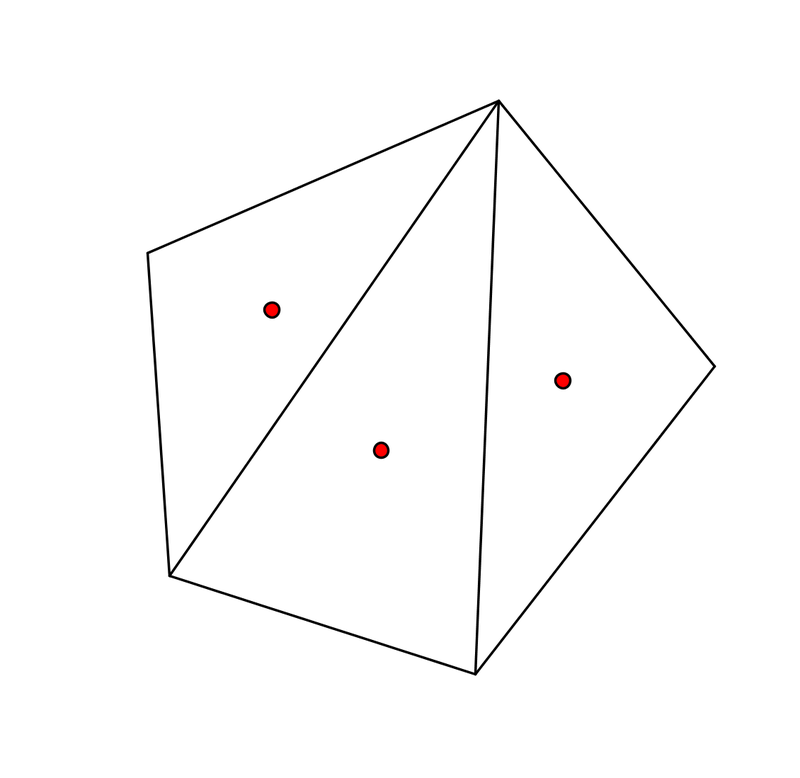 If the two triangles are equal in area, it must be the midpoint. In my example, the left triangle has an area of 11 sq. units, and the right triangle has an area of 13 sq. units. Therefore, the center of gravity must be 13/24 of the way from the left triangle's centroid to the right triangle's centroid. 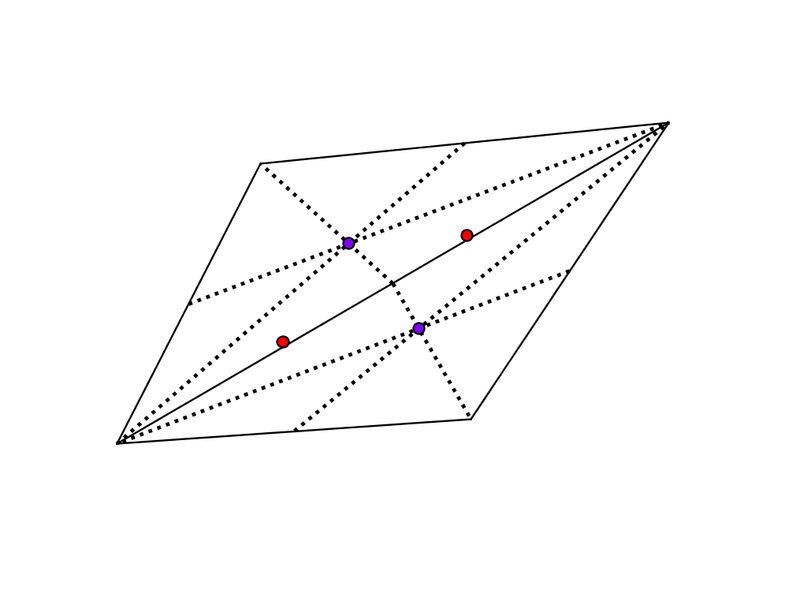 In effect, this treats each triangle as a point-mass. 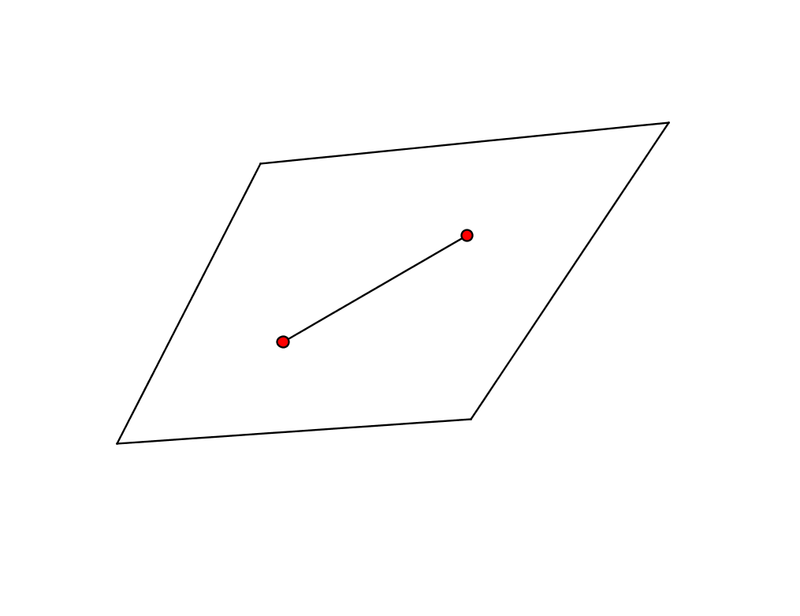 The centroids of each triangle are marked. Now all one has to do is use the three point-masses (location and area) and then find their collective center of gravity. Is there a way to do this simply with coordinates? Yes. And it is one of the more surprising results I think I have ever seen. Let's start with finding the centroid of a triangle. Is there any easy method, using the coordinates, to find it? 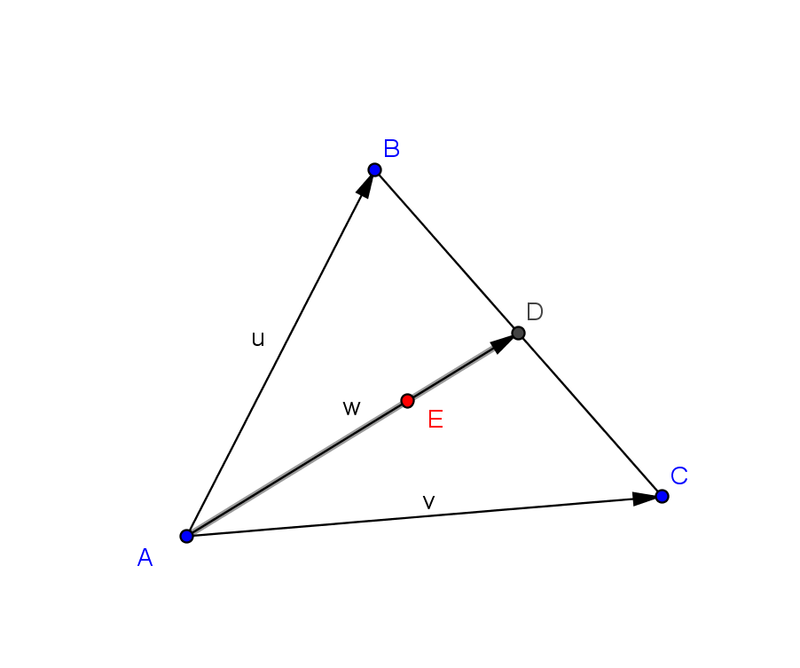 The easiest way to find the centroid is by vectors. 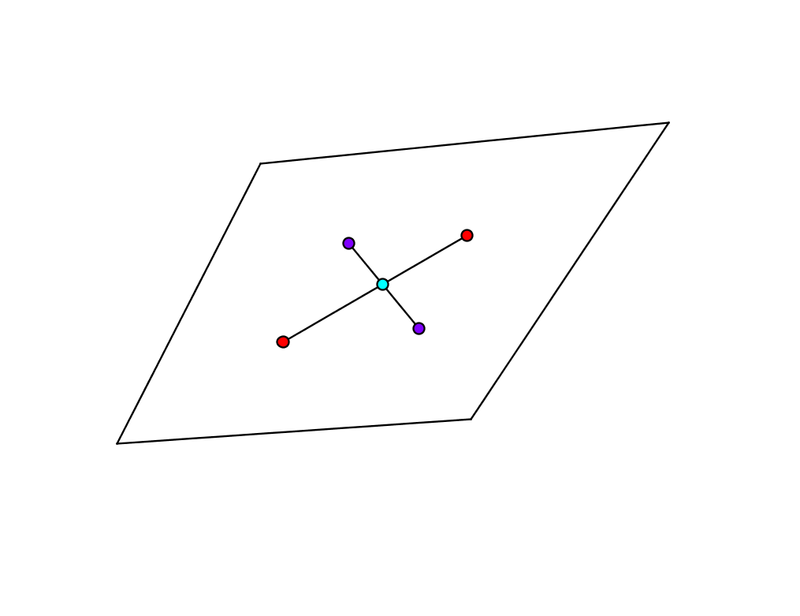 The centroid is 2/3 of the way from A to D, the midpoint of side BC. That means we need to find 2/3 of vector w and add it to point A. One can show in several different ways that w = 0.5 u + 0.5 v. Using this, one can show that E = u/3 + v/3 + A. 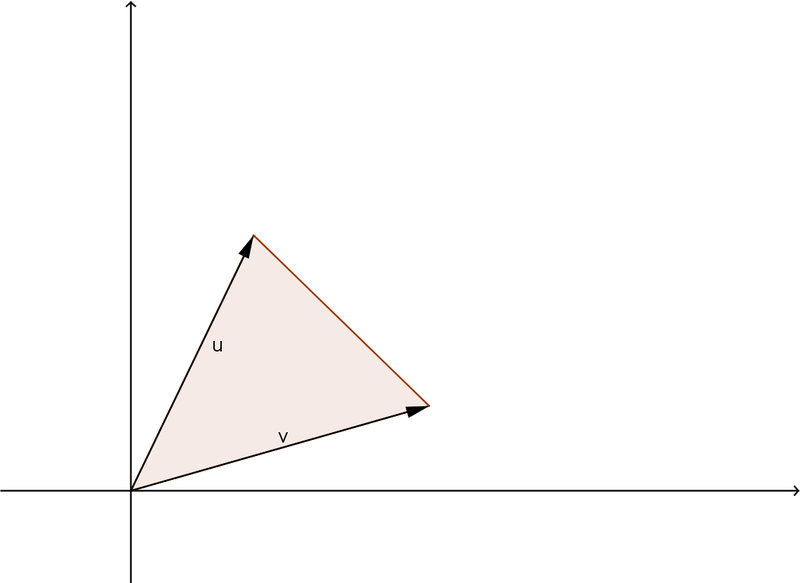 It is quite easy to find the centroid of a triangle. How about area? Is there an easy way to find area using coordinates? Once easy way to find the area using the coordinates is to think about vectors. 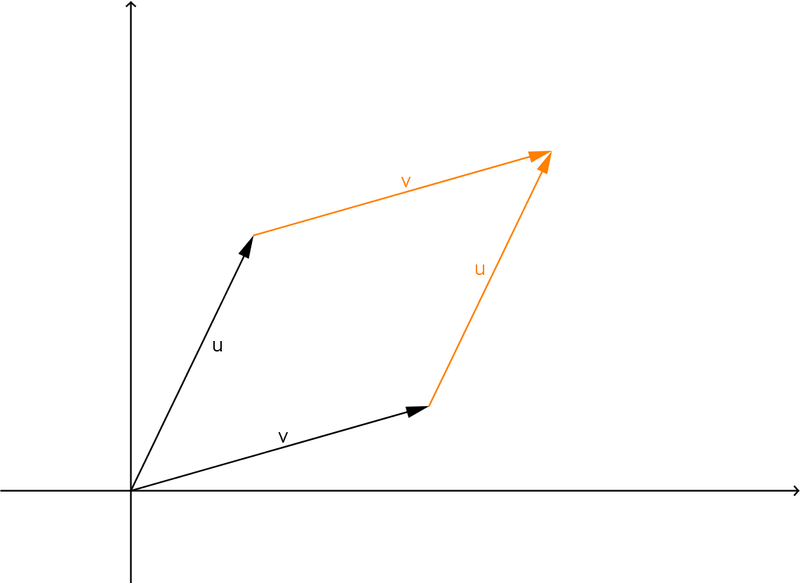 Specifically, look at two vectors: u = a, b and v = c, d.
Now box it in with a rectangle. 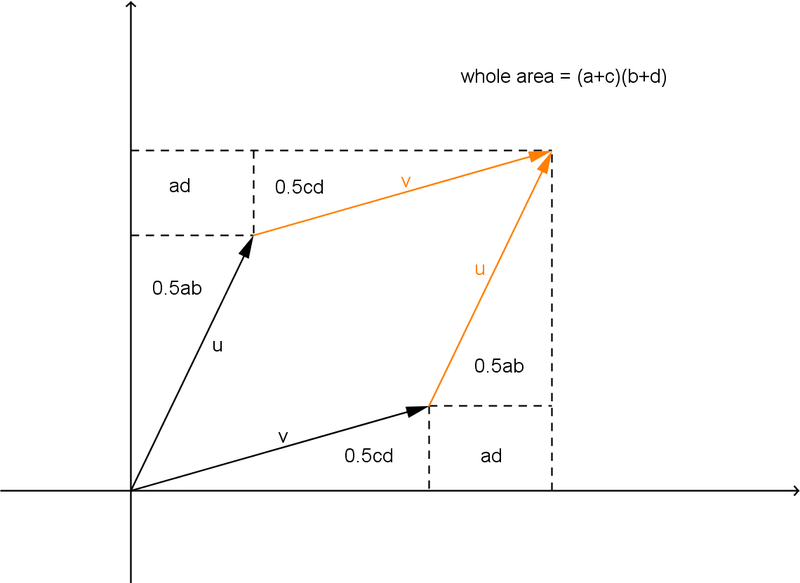 The rectangle has an area of (a+c)(b+d). 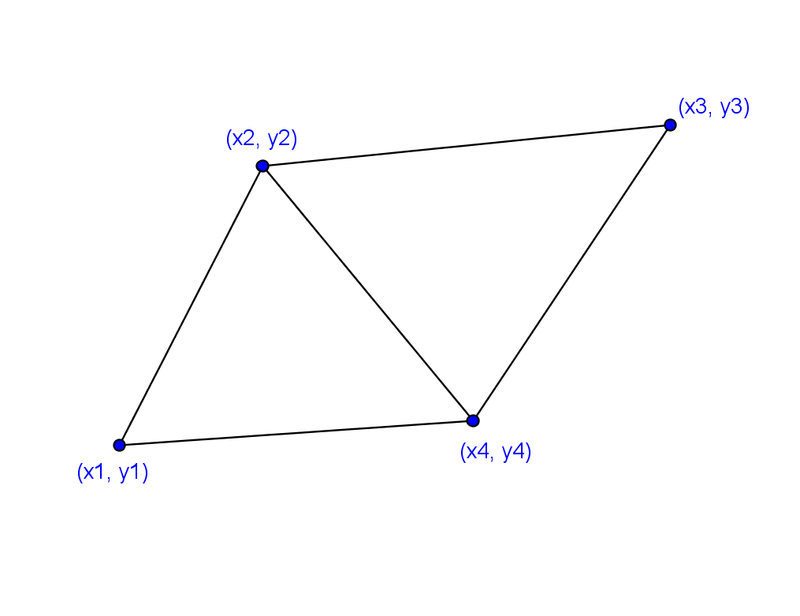 Now label all the other parts in terms of a, b, c, and/or d.
This pattern is remarkable, and it extends to any polygon. For example, try it on a quadrilateral. This formula extends easily to any polygon. Now all that remains is to substitute in. It is one of the most surprisingly simple results. 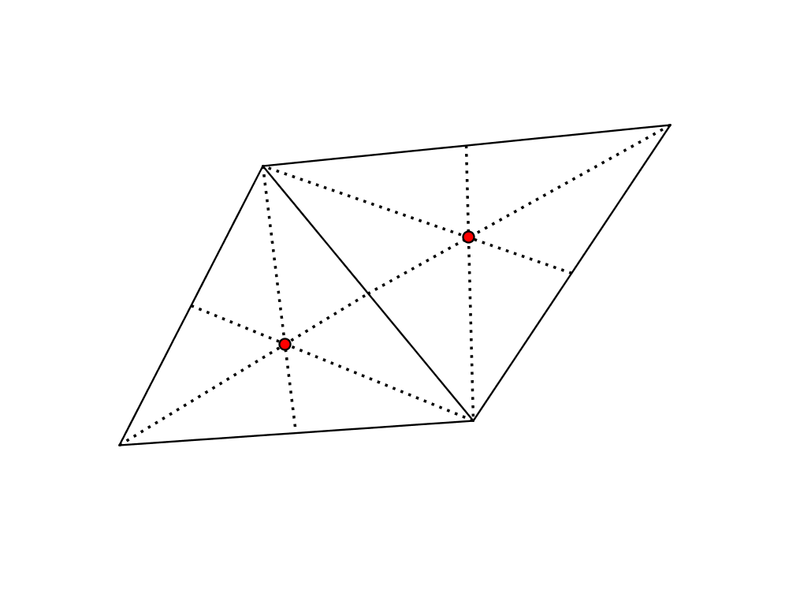 This works for a polygon that does not intersect itself, whether it be convex or concave. 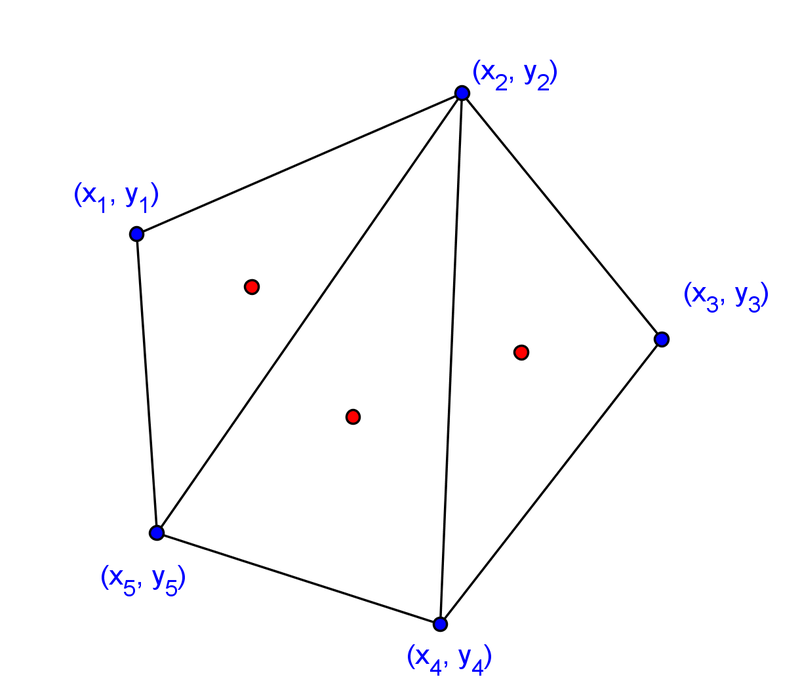 I also put together another post on centroids and area.